Tomorrow is the official release date for Star Wars – Episode VII: The Force Awakens, however many fans will be lining up today for preview showing. While many of us have made our way to Disney’s Hollywood Studios to explore the Star Wars Launch Bay, there are plenty of enthusiastic individuals who have yet to be able to see the place for themselves. 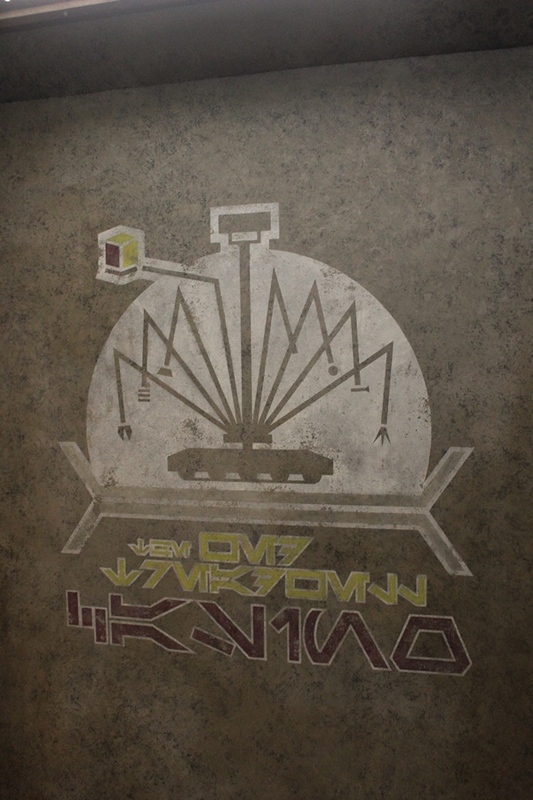 Inside the Star Wars Launch Bay there are a lot of graphics that utilize Aurebesh, or the standard Basic alphabet used throughout the galaxy far, far away. 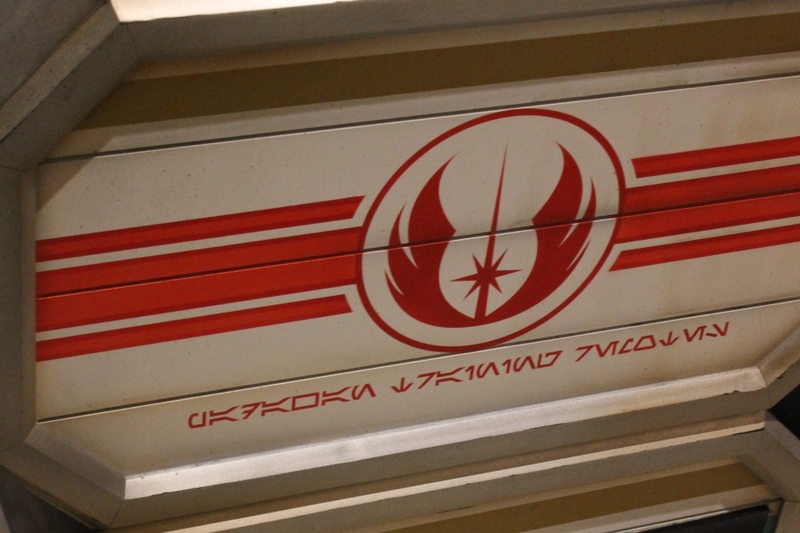 While we won’t post all of the graphics and translations today, we thought it would be nice to give everyone a sampling of what’s being said around the Launch Bay. 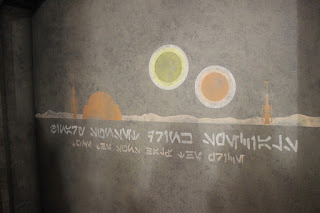 Particularly, we’ll explore some of the advertisements and instructions from around the cantina area. Bantha Blast is a form of blue milk, a popular beverage found throughout the outer rim. The milk comes from banthas and can be used in everything from butter to custard. In Disney’s Hollywood Studios it can be found in milkshake form over at Min and Bill’s, but don’t ask me how they got their hands on some banthas! 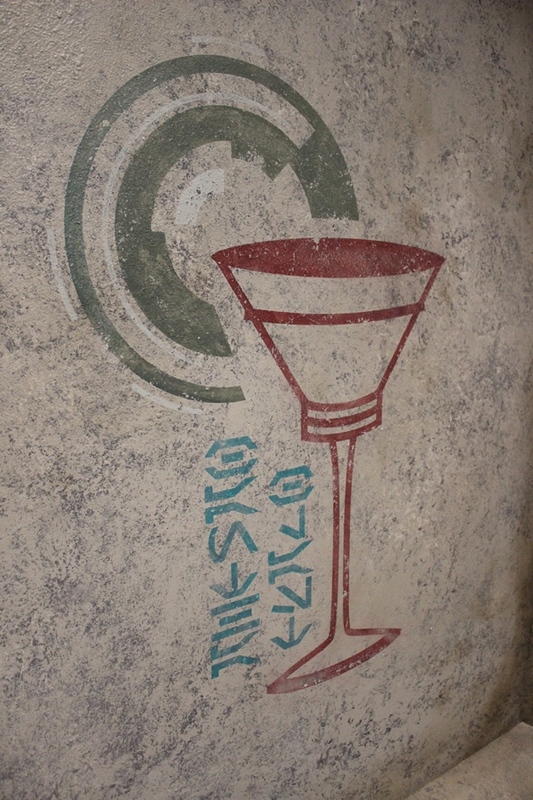 Bantha Blast could also reference the popular alcoholic beverage known as a Bantha Blaster, a popular pink and green fizzy drink. Dejarik is a holographic game played on a table that looks like a circular chess board. 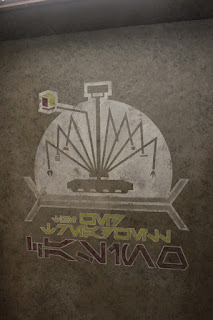 The creatures represented by the holograms can be moved to battle one another until one player wins. 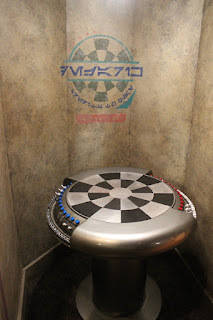 A version of this game can be seen aboard the Millennium Falcon being played by Chewbacca and R2-D2. Not all Aurebesh can be found in the cantina, however. These training remotes can be found in the queue for meeting Chewbacca. 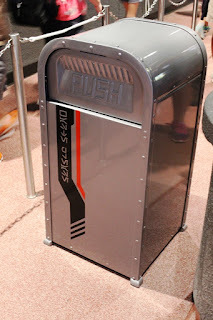 Last, but certainly not least, we all need to know where to find the closest waste receptacle.